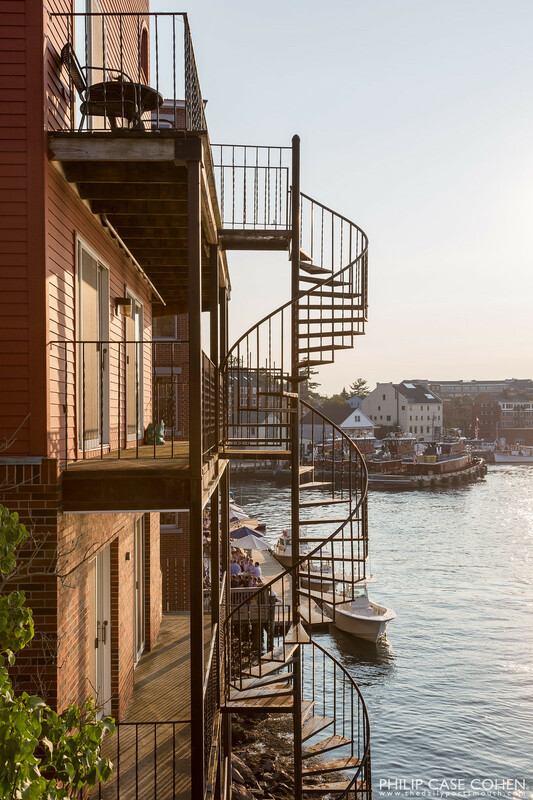 The spiral staircase that climbs the building on the waterfront side of Bow Street has long been a favorite of mine. The lighting is usually dramatic at the waterfront, and this bright afternoon was no exception. The tugboats can be seen in the background as well as the waterfront deck of the Martingale Wharf. It’s the little details around town that I always enjoy seeing, in all types of weather and in all types of light.